But beyond such everyday occurrences, citizen actions in urban spaces can also galvanize transformative political events. Witness the Arab Spring, Occupy Wall Street, and the recent rallies from Athens, Greece, to Madison, Wisconsin. In each case protestors and activists have taken over urban spaces and transformed them into sites of action, meaning, and possibility. And these instances of personal and collective action suggest not only the capacity of human agency to modify the structure of the city and the society; through individual and collective action, protestors are mobilizing not only themselves but also the very notion of the public in public space. The distinction between public and space, or actions and vehicles for actions, is an important one as we examine the implications of OWS at Zuccotti Park and beyond. In a series of forums organized at the Center for Architecture in New York City to envision the future of public space in the wake of Occupy, two familiar responses emerged: how to make urban space truly publicly accessible and inclusive in the face of diminishing publicness and growing privatization (reflected in the phenomenon of privately owned public spaces, or POPS); and how to create space for protests to take place, with all the necessary parameters, e.g., size, location, transportation, and so forth. 2 The focus on physical space is not surprising, given the traditional interests and expertise of designers. But if the failure of the so-called POPS to offer a meaningful substitution for a true public realm is any indication, then the focus on spaces, on purely physical parameters, will likely lead to more misguided attempts to invigorate the public realm. Here I would like to argue that the making and mobilization of the public as an actively engaged citizenry is what enables a public space to remain public and continue to serve as a vehicle — a building block — of our participatory democracy. In an earlier work, I distinguish between two kinds of public space — institutional public space and insurgent public space. Institutional public spaces include typical parks, plazas, squares, streets, and some civic buildings, as well as privately owned public spaces — all of which are defined and produced by governments and corporations. These spaces are by nature codified, regulated and institutionally maintained; usually they presuppose a fairly generic public that may be served by these spaces but for the most part is not engaged in their making. In contrast, insurgent public spaces are those created or initiated by citizens and communities, often outside or at the border of regulatory and legal domains. Insurgent public spaces — which might include guerrilla gardens, flash mobs, “third places,” street vending, street theater and protests — are created by those who appropriate, reclaim or occupy a particular space to gather, express opinions and engage in various cultural practices. Indeed, the very idea of insurgent public space argues that the making of public space is not the exclusive domain of institutions; it can involve a broader range of actors — and thus reinforce the fact that “public” is not just an adjective but more broadly an active body of citizens. The Occupy movement, in Zuccotti Park and around the globe, was a powerful example of insurgent public space. Through camping out, making and posting protest signs, setting up temporary libraries and communication stations, collecting and preparing food, conversing with passersby and participating in the General Assemblies, the protesters transformed passive and usually mundane urban spaces into sites of active political expression. City authorities, real estate developers and property owners might have characterized the occupation of Zuccotti Park as an unlawful ues of public space (or privately owned public space, to be precise); I would argue that it was actually an effort to produce and protect public space — both physically and politically. More than the police and other law enforcers, it was the protesters who safeguarded Zuccotti Park and other Occupy sites as spaces for political dialogue and democratic expression. So it seems clear, as we envision the future of public space in North America and beyond, that our focus should be equally on the making of the public as on the making of space. But how exactly can this be accomplished in the everyday life of cities? How can such processes occur with or without other occupations in places like Zuccotti Park? Can we look beyond OWS and Zuccotti Park and find examples of broad-based, everyday practices that would serve to make a socially and politically engaged public? Experiences in Seattle offer some promising leads. In 1989, with Jim Diers as the founding director of the Department of Neighborhoods, the city launched the Neighborhood Matching Fund, a program that would become very popular and which still exists today. The NMF provides varying levels of support — designated as Small Sparks, Small and Simple Projects, and Large Projects — for community-initiated endeavors, from outreach and mobilization to design, planning and implementation; and because funding can take the form of cash donations and/or volunteer hours, the program incentivizes community building and organizing. From 1989 to 2001, local groups generated more than $30 million in matching resources for projects ranging from public art installations and community gardens to the renovation and development of neighborhood parks. 8 Thus not only did the NMF help to improve neighborhoods; it also strengthened social networks and enhanced local engagement in planning processes. Today many groups remain involved in programming and maintaining projects, and some efforts have snowballed into greater initiatives; Growing Vine Street, for instance, began as a community garden but has expanded to include the preservation of vernacular houses and the greening of streets in the Belltown neighborhood. Recent years have also seen concerted efforts to expand Seattle’s parks and open spaces. In an era of dwindling public budgets, park advocates and citizen groups have not sought private funding (as has happened in many cities); instead, they’ve worked with city staff and campaigned to put new tax levies on the ballot. In 2000, Seattle voters passed the Pro Parks Levy at a price tag of $198.2 million over eight years to fund parks acquisition and development, environmental stewardship, maintenance and programming. In 2008, despite the economic crash, Seattle’s voters decisively approved the Parks and Green Spaces Levy, a $146 million fund over six years to continue the expansion of public open spaces, including community gardens. Aside from projects listed in the proposals, the two levies also included an “Opportunity Fund” for initiatives proposed by citizen and community groups. And just as important as the tangible improvements to the city, these advocacy campaigns have encouraged the rise of an engaged public with significant political influence on municipal policy and planning. Similarly, throughout North America and around the world, non-profit civic organizations are filling the gap between municipal agencies and local communities. In Oakland, California, the non-profit Unity Council worked with neighborhood groups and design professionals to undertake a transit-oriented development to spur economic growth in the predominantly immigrant and minority district of Fruitvale. The organization was also instrumental in developing a new waterfront park in an area in the city with the highest percentage of children but least amount of open space per capita. 9 In North Philadelphia, the Village of Arts & Humanities started as a community art project with the goal of engaging local youths and improving the neighborhood’s many vacant lots. In recent decades the organization has helped to rehabilitate dozens of parcels of vacant land into parks, gardens and passageways. Today, it offers a wide variety of community services, including apprenticeships, artist residencies and environmental educational programs. The increasing privatization of public space in North American cities today is evidence of a deeper and more entrenched political and institutional crisis — the privatization of our democracy through unequal taxation, institutional loopholes and the overpowering influence of multinational corporations. The root cause of diminishing public resources and the privatization of urban public space today is precisely the privatization of our political system — a crisis that cannot be addressed simply by creating more public spaces or by making these public spaces more inclusive and accessible. This deeper crisis requires the attention and intervention of a much more active and engaged public, a public willing and capable of speaking up and mobilizing politically to change the system. But to create a more active citizenry, public spaces and communities can play a critical role. Public space can serve as a focal point of collective action and can make such action visible. As we learned at Zuccotti Park, it was the physical occupation of public space that galvanized attention and mobilized people and ultimately a movement. This essay is adapted from a chapter in Beyond Zuccotti Park: Freedom of Assembly and the Occupation of Public Space, published this month by New Village Press. It appears here with the permission of the publisher and the author. 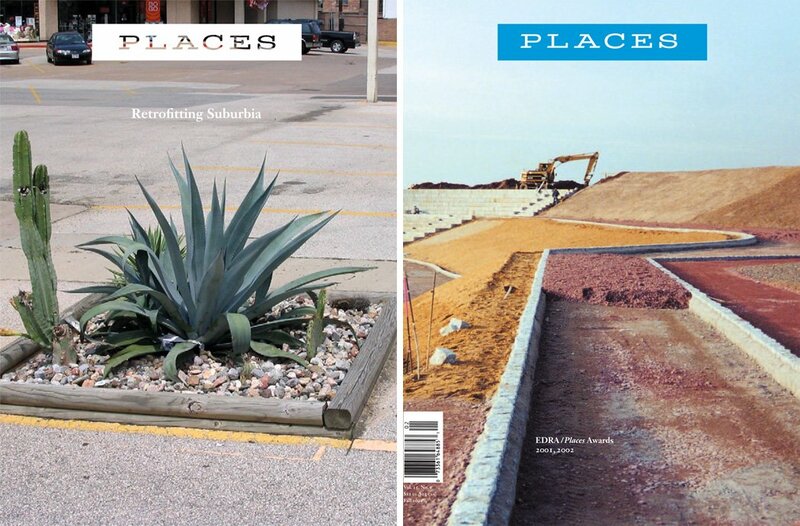 For related content on Places, see Occupying Wall Street: Places and Spaces of Political Action and Mapping Liberty Plaza, by Jonathan Massey and Brett Snyder, and Occupy: What Architecture Can Do and Occupy: The Day After, by Reinhold Martin. The term citizen in this chapter is used in a broad sense that includes various forms and dimensions of citizenship, beyond the issue of nationality. The forum, Freedom of Assembly: Public Space Today Redux, was held at the Center for Architecture in New York City; I was one of the speakers, as were Ronald Shiffman, Rick Bell, Lance Jay Brown and Lynne Elizabeth, editors of Beyond Zuccotti Park (Oakland, CA: New Village Press, 2102). Karen Franck and Quentin Stevens, “Tying Down Loose Space,” in Karen Franck and Quentin Stevens, editors, Loose Space: Possibility and Diversity in Urban Life (New York: Routledge, 2006), 2. Margaret Crawford, John Kaliski and John Chase, editors, Everyday Urbanism (New York: Monacelli Press, 1999), 9-10. See Kristin Day, “Feminist Approaches to Urban Design,” in T. Banerjee and A. Loukaitou-Sideris, editors, Companion to Urban Design (New York: Routledge, 2011). Faranek Miraftab, “Invited and Invented Spaces of Participation: Neoliberal Citizenship and Feminists’ Expanded Notion of Politics,” in Journal of Transnational Women’s and Gender Studies, 1. Accessed March 12, 2012. Don Mitchell, “The End of Public Space? People’s Park, Definitions of the Public, and Democracy,” Annals of the Association of American Geographers, 85 (1) (1995), 121, 128. See also Michael Sorkin, editor, Variation on a Theme Park: The New American City and the End of Public Space (New York: Hill and Wang, 1992); Setha Low and Neil Smith, “Introduction: The Imperative of Public Space,” in Setha Low and Neil Smith, editors, The Politics of Public Space (New York: Routledge, 2006); and Sharon Zukin, The Culture of Cities (Cambridge, MA: Blackwell, 1995). See Jim Diers, Neighbor Power: Building Community the Seattle Way,(Seattle: University of Washington Press, 2004). Jeffrey Hou and Michael Rios, “Community-driven Placemaking: The Social Practice of Participatory Design in the Making of Union Point Park,” Journal of Architectural Education 57 (1): 19–27. H.-Y Chen and C.-H. Lin, “Making Places of Fusion and Resistance: Experiences of Immigrant Women in Taiwanese Townships,” in Jeffrey Hou, editor, Insurgent Public Space: Guerrilla Urbanism and the Remaking of Contemporary Cities (New York: Routledge, 2010). D. Winterbottom, “Effecting Change through Humanitarian Design,” in Tom Angotti, C. Doble and P Horrigan, editors, Service-Learning in Design and Planning: Educating at the Boundaries (Oakland: New Village Press, 2011). There’s a lot that I agree with in this article, and I think it is incredibly valuable to be thinking about the role of design in politics. However, I also have a lot of problems with the implicit politics of this article, particularly in its uncritical deployment of terms such as ‘citizen’, ‘public’, and ‘democracy’. It also boarders on whitewashing significant aspects of Occupy in order to support its politics, particularly in relation to the aims and organisational practices of many participants. By using the category of citizen, which in the writings of Gramsci is held in relative relation to government and marketplace, the author establishes the conditions of his own political failure. The citizen is restricted to its own realm (in theory maybe no, in reality absolutely, both in physical and psychological terms). Its can only act by means of mediated ‘publics’, and is forced to assume the legitimacy of both government and market. Within the logic of ‘the citizen’, public space (which, because of its policing I see as synonymous with state space) becomes a theatre and ‘the public’ a prop for staging a spectacle of ‘people’ power. The real loci of power, including the nexuses of back-room lobbying, normative conditioning, and hegemonic constructions, remains unilluminated. A ‘public’ is an undifferentiated and controllable mass. They are produced by systems of mass mediation, including TV, radio, microphones, stadiums, advertising, rallies etc that centralise the construction and dispersal of knowledge. The ‘public’ is very much a designed product of hegemony. Examples include presidential campaigns and iPhone releases. A multitude however is formed by people affiliating in groups that are small and personal, but connected in rhizomic fashion to other groups. At time this can become a huge mesh of affiliated connections. The result is a condition of decentralised but coordinated relations of communities working in the company of people they know and trust. Examples include the shutdown of the WTO meeting in Seattle 1999, and many aspects of the Occupy movement. This is also a designed phenomenon, facilitated by the internet, spokes councils, symbols, and spaces (often composed of dispersed but fluctuating circles of discussion). Importantly, the specific equipment of publics and multitudes are not mutually exclusive. The internet is also a means of constructing publics, just as public space may be co-opted or reclaimed by communities (made into communal space). However, they do operate according to different logics and relational arrangements. An underlying difference between, say, public space and a communal space is that the arrangement of space by the former is produced by well meaning (but patronising) elites who work at the pleasure of the state-corporate alliance. Communal space, however, is produced through the dialogue and action of smaller groups of people actively seeking to maximise freedoms and access to power, rather than curtail them through ignorance, differentiation, force, or manipulation. To a large extent, the occupation Zuccotti Park and other (semi)public spaces around the world worked despite and against the logic of public space and towards the logic of communal space (e.g. the push to evict based on ‘hygiene’ concerns indicates that the appearance its use conflicted with the normative standard of gentrified, apolitical public space). It is absolutely true that publics are, in part, a product of public spaces and a vehicle for Democracy. But a Democracy that relies on publics is arguably not very democratic. It survives on the expectation of hegemonic control, alienation from political power (through elected representatives), limiting the (limited) power to vote to realms where ‘public’ knowledge is most dependent (ruling a nation), rather than most direct (workplace democracy), prey on ignorance and selfish individualisation, and are prone to the corruption of media, universities, and other institutions of knowledge control. Multitudes, however, tend to use direct and/or consensus based democracy as a principle part of everything they do. Political power is held by the individual and is only relaxed on the basis of consent. There is a will and responsibility to understand the diverse implications of an action, including how it will effect people who do not share you’re own experience of the world (other genders, ethnicities, sexualities etc). The role of the designer within a Democracy is to earn a financial and symbolic profit from bolstering the differentiated realms of citizen, government and market. It is to ensure that nothing of any lasting significance actually changes. The function of design (dispensing with ‘the’ designer) in a multitude based on affiliated communities, is to assist people in both understanding and directly enacting their responsibilities to themselves and others. Design itself can become something of genuine concern to everyone because it is made concretely accessible to everyone, not just an elite who rule by virtue of their privilege. I also agree with many things you have said, which echo the central argument in Insurgent Public Space—a space that is redefined and produced by individuals and communities rather than hegemonic institutions. But rather than discarding the notion of “public” altogether, I am in favor of reclaiming, re-appropriating, and reinvigorating it. In short, if we accept the co-optation of the notion of public, an important battle may have already been lost. I find it interesting that your comments here are very similar to the ones I encountered in Stockholm where I gave a talk there earlier this year. The notion of public there also evoked something very different from common reactions in North America. Perhaps we have lost so much (or never quite fully developed and practiced the concept) in North America, or the U.S. in particular, that we find the notion compelling in our current political context. Nice piece Jeff on spatial democracy that reminds us that all public space is not created equal. It is interesting that if one speaks/writes about places as being democratic, public or humanistic, some see this as a political or ideological position. At the same time many designers today regard their work as neutral and above politics. Yet almost every design expression carries with it political dimensions of power, control and conflict. Just witness the rebuilding of Ground Zero just two short blocks away from Zucotti Park. Your work clarifies the important role that public space serves as democratic and often contentious ground. Oh puhleeeez Mr. Kiem. First your distinction between the space of the multitude and the space of the public with a small p is so precious. As if the multitude is not subject to its own internal forces of hierarchy, power, elitism, etc. that shape and move it. Mr. Hou has provided a clear understanding of public reforming, from the ground up, of space, and shown how it can influence normative government culture and planning, and demonstrated that it can be much more life affirming and radical then the temporary postulations of a bunch of cynical and angry anarchists. I suspect if these models were the norm as opposed to the extreme exception, your position of privileged outsider in this discussion (you privilege your thoughts and ideology over all others and in the interest of promoting your position and can not listen to nor hear parallel and far more cogent arguments) would be even more tenuous. Mr. Hou, in his youthful enthusiasm is far to polite to you, as he should be. He being almost civic in his disposition, another word and no doubt idea that you believe is manipulated in back rooms so as to only benefit elites and capitalists. With these types of certainties embedded in the thought train, you will become a terrific traditional designer. The distinction between the multitude and 'the public' isn't mine, its Hardt and Negri's. I was using it as a counter archetype, not as a perfect model. Books like 'Gramsci is Dead' by Richard J.F. Day and particularly 'Direct Action: An Ethnography' by David Graeber, go into great detail about the problematic nature of power that persists within horizontally organising groups. They also elaborate on how the 'cynical, angry anarchist' works as a media stereotype that ignores the plethora of hopeful, empowering, inclusive, and productive work achieved by the diverse kinds of people who identify as anarchists. 'Autonomy, Solidarity, Possibility: The Colin Ward Reader' does a similar thing from a perspective of more direct relevance to designers. I'm not quite sure how I am a 'privileged outsider' in this context, but I'm pretty sure that putting forward a critique and alternative reading doesn't automatic constitute 'not listening' to another perspective. I'm not saying mine is 'the' definitive reading, I'm suggesting that there are strategic and ideological limitations to using the civil society-government-market place triad. I agree that Mr Hou was very polite and I was glad to read his response. Thank you for the measured response. Quite sensible. Now we can have an interesting conversation. The purely horizontal model, as demonstrated by OWS, has fragmented between those that want to maintain the role of outsider and provocateur and those that feel a greater level of organization and organizing is needed to implement reform. What is discouraging is that those who take the latter path are too often tagged by the former multitude of selling out, as preternaturally corrupted, as in the pocket of a system that can never reform, thus written off. It seems to me the question of what constitutes a contemporary public space is one of context and the ability to understand who you are talking to at what moment and for what purpose and framing this clearly and transparently. With regard to public space in the United States, the laws and constitution and precedent do make distinctions between POPS and public space and the fine line between these types of spaces moves back and forth depending upon the tenor of habitation and occupation. Designers of these spaces do need to be aware and anticipate these differences which are sometimes distinctions of nuance. But conscious and critical designers are not fooled or unaware. A street or park that is publicly owned can always be stretched into the service of discourse far more effectively than a POPS regardless of the flexibility of design or the urgency, by designers or otherwise, of political organizing in a POPS. The lesson seems to be we all have to be involved all the time if we wish to make the best design and the most sustainable future. In this last regard, the statement, "(t)he role of the designer within a Democracy is to earn a financial and symbolic profit from bolstering the differentiated realms of citizen, government and market. It is to ensure that nothing of any lasting significance actually changes", if not completely misunderstanding the impulse of designers, at least is disrespectful of the intelligence and commitment of many architects and designers to "improve" the world in the broadest aesthetic and political sense of the word. In this regard, for me at least, Mr. Hou's arguments seem far more relevant and ultimately constructive in the sense that it provides a path constructive and critical actions by both multitudes and publics. Jeffrey Hou is associate professor and chair of landscape architecture at the University of Washington, Seattle.